Following a 10-year successful career as a journalist and TV/Radio host in various print and broadcast media, such as ANT1 TV, DIAS Media Group, SIGMA TV, Phileleftheros Media Group, Dimitris joined Action Global Communications (www.actionprgroup.com), a leading regional full service communications agency, in 2006, as PR Account Director responsible for the communications strategy of international clients such as OMV, Voestalpine, bmi and Amadeus Technologies in over 32 markets. In 2008, Dimitris was promoted to PR Country Director for Action's Cyprus office, heading a team of highly qualified and experienced PR professionals. Over the years as PR Country Director, Dimitris was responsible for consulting and overlooking PR campaigns for Action Cyprus’s top clients including: Noble Energy, VTTV, BP Eastern Mediterranean, Castrol, Euro bank, Microsoft, British Airways, MSD, Novartis, RICS, FXTM and HFC "Hope For Children" UNCRC Policy Centre. Also has been actively involved with various EU projects – from strategy to implementation – in Cyprus. In addition to developing corporate communication strategies for Action Cyprus clients, Dimitris also provided ongoing strategic counselling and crisis communications consultancy to key agency clients. As of January 2013, Dimitris has been appointed General Manager for Action Global Communications Cyprus operations (PR / Publishing / Representations), heading a team of 30+ professionals and responsible for driving new and existing business. 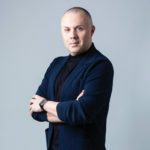 As of June 2015 he has also taken on the role of General Manager of Action Global Communication’s new venture Action Digital Ltd (www.actiondigitalagency.com) heading a team of experts in online marketing, content, design & development. 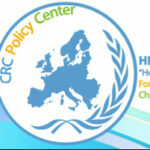 Over the past 5 years, Dimitris has been supporting the growth of HFC "Hope For Children" CRC Policy Centre providing pro-bono services in his field of expertise.